Pimco has lined up a cast of stars for its new advisory board. They may, unfortunately, be the wrong ones if the $1.5 trillion asset manager wants the best advice on what the future holds. The line-up includes two ex-central bankers – Ben Bernanke, the former chairman of the U.S. Federal Reserve, and the man who used to be his opposite number at the European Central Bank, Jean-Claude Trichet. Gordon Brown, a former British prime minister and finance minister, has also signed up. These men have decades of top-level policymaking experience and contact books worth their weight in gold. To Pimco’s marketing department, they will probably be worth every cent of their as-yet undisclosed pay. The trio also made errors worth learning from. With the wisdom of hindsight, it is easy to see that financial regulation was too lax during Brown’s watch. Also, both he and Bernanke suggested that big booms and busts might be a thing of the past. Meanwhile, Trichet made the mistake of raising policy rates in 2011 during the euro zone debt crisis before having to reverse course. But for all the salutary lessons these former policymakers can teach, Pimco might have done better to pick those who spotted that trouble was brewing. Take Raghuram Rajan for instance. Now the governor of the Indian central bank, Rajan warned back in 2005 when he was at the International Monetary Fund that financial sector developments could trigger an economic crisis. Or William White, a former chief economist for the Bank for International Settlements, who warned that bubbles and imbalances were building up in the global economy well before the crisis blew up. Perhaps the more prescient people were unwilling or unavailable to join Pimco’s new advisory board. And of course, as with fund management, their past performance is no guarantee of future success. Still, the asset manager’s line-up of luminaries could have been brighter. 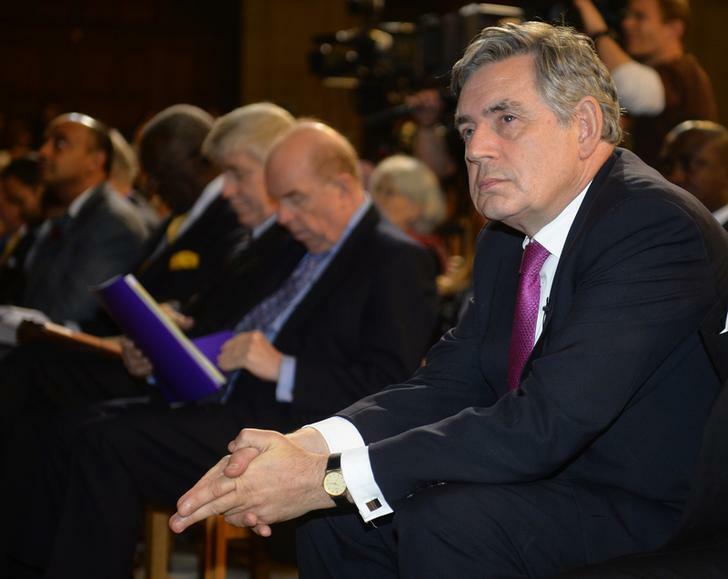 Former UK Prime Minister Gordon Brown MP attends the inaugural meeting of the Global Citizenship Commission in the McEwan Hall at the University of Edinburgh, Edinburgh, Scotland. Pimco said on Dec. 7 it was creating a global advisory board of five leading global economic and policy experts. The members of the board are Ben Bernanke, former U.S. Federal Reserve chairman; Gordon Brown, former British prime minister and finance minister; Jean-Claude Trichet, the former president of the European Central Bank; Ng Kok Song, former chief investment officer of the Government of Singapore Investment Corporation, and Anne-Marie Slaughter, a former director of policy planning at the U.S. State Department. Pimco says it had $1.47 trillion assets under management as of Sept. 30, 2015.